Although East Canada’s legendary coal mines of Cape Breton, Nova Scotia, closed a decade ago, the chances are good for the Maritimes to soon be back in the coal business, Nova Scotia’s deputy premier, Frank Corbett, told Canadian Press. He said the government is quite optimistic Xstrata’s (LON:XTA) proposed Donkin coal mine will open soon, likely next year. But fishermen think the project could be "catastrophic" for their industry as Xstrata’s plans call for coal to be transferred from the mine to barges, and then onto bulk carriers waiting offshore. They claim the barges would disrupt their traditional fishing grounds and cause environmental damage. 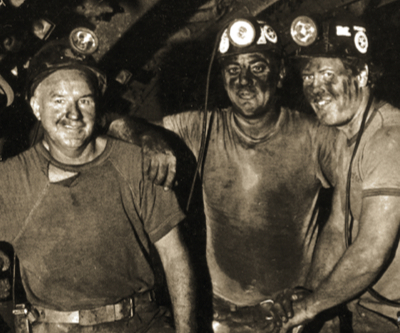 Cape Breton miners went under the sea for coal as early as 1877, eventually digging tunnels more than three miles in length. In April last year Xstrata said it was looking to sell its 75% stake in the Donkin project, but no buyers seem to have approached the company yet. If the mine goes ahead, it will produce about three million tons of coal a year.